Event logistics is a complex and multi-layered operational task that requires optimising all resources. This includes tapping into the best possible options for handling and storage of event components such as equipment and chairs. 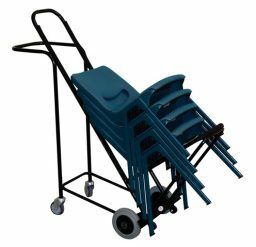 Here at Krosstech, we offer chair trolleys that can streamline the transport of chairs from one area to another. It can help personnel quickly stack and move the chairs between distribution point and the event site. With our moving trolleys, you reduce the need for extensive manual labour and cut down the time involved in event setup and clean-up. Investing in our high quality chair trolleys is one way to concretely improve efficiency and boost customer satisfaction. Our chair trolleys will make it easier for you to move every piece into place, leaving you more power and energy to focus on more strategic details in planning and assembly. We want to make your logistical processes more efficient to help you achieve even better business outcomes.